We’re looking for temporary full-time help at our farm in Senneville to start off our agriculture season. Do you have an interest in farming? Do you like working outdoors? Do you live in the West Island, or perhaps you’re looking for short-term summer work? If you answered yes to even some of these questions, we’ve got an exciting short-term opportunity for you! To apply, please submit your application on our open application page before Friday, May 3rd at 9am, and specify which job position you are applying for. Due to the large volume of applications anticipated, we will unfortunately only be contacting candidates who are chosen for an interview. 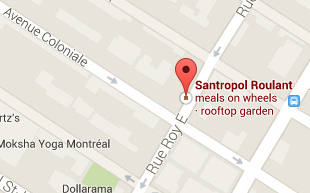 For more information, please contact Jamiey at hr@santropolroulant.org or contact us at 514-284-9335.